StackAndTile poker software | Multi-tabling, the easy way. Do you feel rushed when you play multiple poker tables? 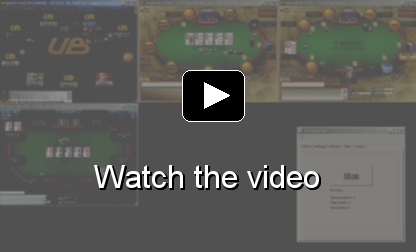 The StackAndTile software will move and organize your poker tables around your screen. It allows you to only focus on the tables that are important, while the un-important tables are moved out of the way and "off your radar". Alternatively, you can tile your tables normally, and just use the Hotkeys to speed up your play. The program is very versatile to fit your needs. One piece of software, for all sites. This application is designed for professional players only.